Mothers are forever in our hearts. 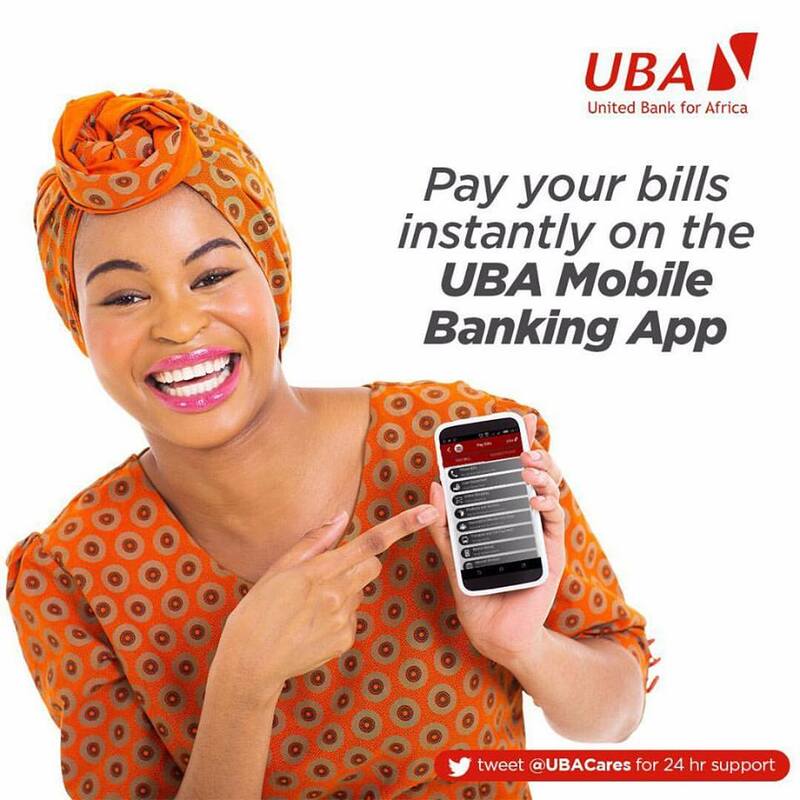 United Bank for Africa (UBA) Plc knows. So from today until Mother’s Day, Sunday March 15, 2015, UBA is offering you an opportunity to buy your beautiful Mum a lovely gift and at the same time stand the chance of winning some money for yourself. So, go earn a smile while making your Mum smile on Mother’s Day. Get her that perfect gift with your UBA MasterCard and you can win good money for yourself too. The offer is on from now until Mother’s Day. 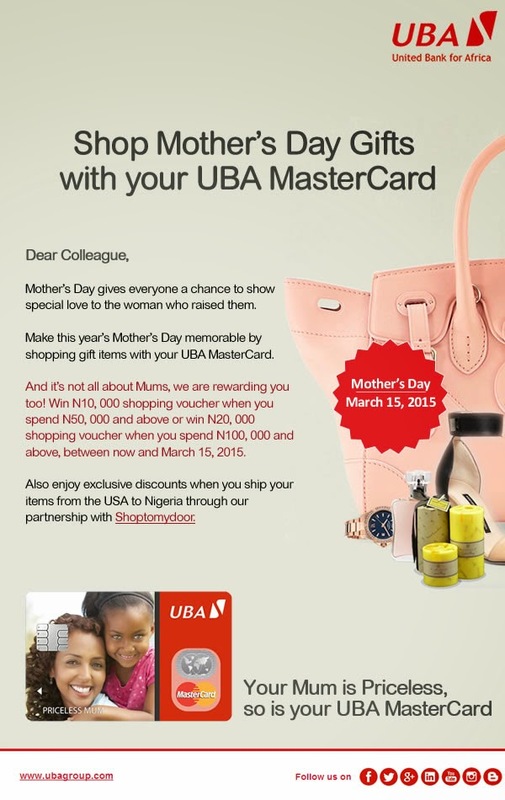 Show your Mum how much she is APPRECIATED with your UBA MasterCard. It is a ONCE in a year opportunity. The worst part of motherhood is the constant worry. So, yes, mothers need to be pampered and nothing does it better than Mother's Day, especially for those who do not have a roof over their heads. Hope they receive flowers, too. Thanks for the recognition. a mother and paper typer. The best narrative essay about mother's day you can find at my site. have a peek here for a free sample!